I believed, that the GDPR new regulations are simple. How wrong am I? After attending a course, we are now shredding our way through every file in the building (at work). Data is everywhere and we are all affected because we hold onto telephone numbers and email addresses, forever. To that end, I now believe that I should contact everyone on my blog email list and ask for their consent to hold onto their email address. Why do I want your email address? So if you do not wish me to contact you about a book offer. Please let me know in the comments box below and I will delete/ wipe/remove your email address from my contact list. On a much brighter note – Bob is fighting on and still swallowing pills but wagging his tail and making the most of life. Where did I get the idea for my first childrens book? The Runaway Schoolhouse, or the idea for it, simply didn’t appear in a light bulb moment. It sort of crept up on me. I was working as a Children’s Athletics Development Officer for 20 hours a week. I was part of a team of three. I loved the three years that we travelled the highways and byways, (some of them in circles as I frequently got lost) to promote kids to get active. The three of us were and still are passionate about the advantages of taking exercise no matter your age. Anyway, the most frequently heard comment on a Monday morning from a class of kids, was, “I wish I didn’t have to come to school.” I heard it so often that I began to play with the idea of what would happen if they arrived but all was not as it should be. The look of disbelief, followed by pure joy at such a possibility, was enough to convince me it was a mad idea, but mad enough for a book. CLEARIE was learning to make the most of every moment. He liked sitting on the smooth sand but a tiny part of him envied those with fingers and toes because he longed to experience the tickling feeling of sand and water. Still, he reasoned, this is an adventure. He didn’t like the conversation between the adults who remained outside discussing the “problem.” They considered taking him apart and carrying his bricks back onto the hillside or getting a giant crane to move him. Both methods sounded nasty to him. He tried to ignore them by concentrating on the sound of fish jumping in the water and birds hopping about on the sand; but he found that their loud voices carrying on the wind, made it impossible. You would think with all their education they would question WHY I moved. He waited to see what would happen next. To his amusement, Mrs Brown got on her knees beside his front door to peer at the gap beneath his floor. He wondered if she were silly enough to think he had grown feet! When she stood she realised her knees were sandy and complained loudly about the horrible, gritty feeling. Clearie wondered what gritty felt like. At breaktime, he noted that the children, unlike the teachers, were barefoot on the beach, but they put their shoes and socks back on their feet when they went back to class. Clever children, silly teachers, he thought. Help, tips and advice sought – Please. We, (Sara and I) have been invited to visit a local school and talk to the class of 8 year old pupils about writing and illustrating. The children have been reading our book and have each done a project on it, so I am looking forward to the visit though, I am a wee bit wary. I mean, I have been in classrooms with kids of this age before and you have to be ready for anything. So, with that in mind, I have loaded up on goodies (paint sets, brushes and sketch pads, along with a giant bucket of marshmallows). What else do you think I need to bring? I love to read but most people do. My taste is wild and whacky as you can see from the list below. Now I am looking for a good thriller to read next and am open to suggestions, though I do love romance and romantic comedies, and Jane Austen is my most re read author. Though there are a few of the books listed below that I really enjoyed and I would love to read more works written by the author. By Judith Hall Simon – I found this book both informative and revealing in how compassionate Judith was. I really loved this book and recommend it to all women who love reading about this period in history. 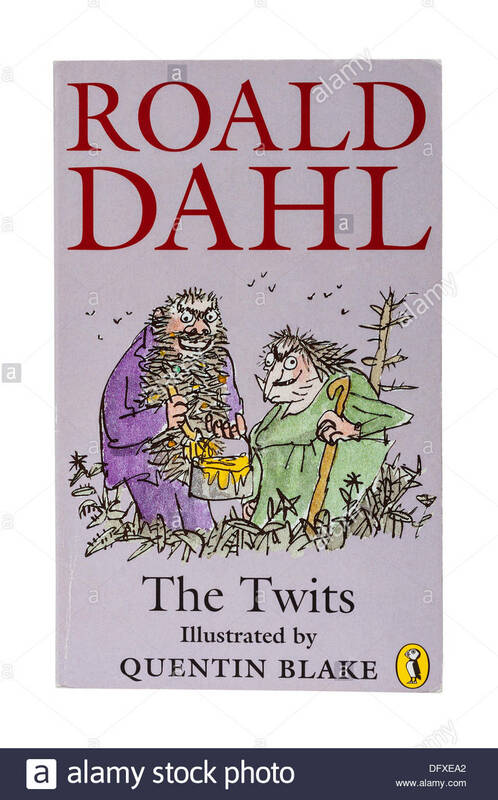 by Roald Dahl / Another favorite author of mine. His adult stories are dark and vivid. The main reason why I am currently looking for a proof reader. Following the authors advice my husbands aches and pains are fading and he is back exercising once more. If you have read a really good or funny book please let me know and I will seek it out to read. A learning curve – being published. 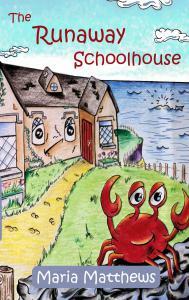 As some of you know, The Runaway Schoolhouse is in print and on kindle for the past few months. (The first few pages are here on this site for you to read, if you like). I believed, foolishly, that this achievement was 9/10’s of the job done. I was wrong. It is the first step. But I still have to spend time, marketing the book. I have also been told that book reviews are gold to writers. Hence the Giveaways and the pleading or requests for reviews on Goodreads and Amazon etc. I have given away 15 books, in the hope reviews will result. But I am curious as to how other children’s writers find book reviews. So any help, or advice will definitely be appreciated by me. Blogging delights me and writing is a passion. I consider myself lucky if one or two people read a post and am amazed if the stats alert me that a post is doing well and 15 + readers have been on my site. Life is funny isn’t it, some of us dream of winning the lottery but bloggers simply dream of being acknowledged and read. Moving On – Sample – First Chapter. “Hike on,” Ally shouted, leaning forward against the blast of wind as her team of four Irish sled dogs bounced into top speed pulling her around the steep bend. Their waving tails declared, to those watching the race, their love for doing this work. She wondered if they would run well across snow. It would make a welcome change from sludge and muck. Running on snow was a dream. Ally wondered about it for a second while noting the amount of muck on the track. In comparison the countryside around her looked green and beautiful but Ally hadn’t time for artistic appreciation. She was here to win. Shouts of encouragement mingled with the barking of chasing teams reminded her every competitor wanted to win. Once more she asked her team to accelerate. With their thick double coats gleaming in weak Irish sunlight, they obeyed her shout. “We are all in this together. I won’t let you down,” she promised. Despite cold air and dirt being kicked up in her face Ally smiled. Luna was lead dog today. Excited noisy barking behind alerted them, another team was getting closer. Luna turned her head to peep back, her dark eyes gleaming. She didn’t need encouragement from Ally to pull harder. The last hill loomed ahead, a mere pimple in the distance. The wheels of her rig slid all over the track, Ally knew what to do. She jumped off and ran hard, pushing the rig with all her strength. The thin wheels of the rig bounced about making it difficult to keep a grip on the bar. It was tough to keep up with the dogs. Far behind she could hear a male voice roaring abuse at his dogs. She flinched, recognising the voice but also remembering how John, her ex husband loved to shout. Ally treated her dogs like most things in her life, with gentleness and persuasion. “Focus Ally.” she whispered knowing this was not the time to dwell on anything but what she had to do. It was tough not to think of a portion of her past while she was racing. Sam, her father, had introduced her to this sport when she was a feisty teenager. Moving home, because of his illness, was the best decision of her life. She owed everything to Sam. In contrast, she owed John, nothing. Sam’s death had left her feeling isolated and alone. The biting wind caused her to shiver and pulled her back to the present. Chewing on her bottom lip, she lifted her head. ‘We need to get up and over this damn hill if we are to win.’ With a roar of encouragement she pushed even harder. Like her dogs, she was prepared to put every last ounce of energy into the race. Once they gave their best, Ally was happy. Hands firmly on the bar before her, she pushed as though her life depended on it. Her feet slid about on the wet heavy ground, making her feel as though she were carrying two buckets of sludge. Her breath came in gasps leaving her ribs aching as she continued to push. She reached the top, took a deep breath to help prepare her for the treacherous down slope. Jumping back on, she applied light pressure to the brake with her right foot. Ally encouraged them to hold back. “Slow up, Luna,” she shouted. Arriving at the bottom of the hill in one piece, she had time to notice grey clouds lifting marginally, the sun attempting once again to shine. Her spirits soared until she glanced behind her. It was Steve, a rival, who didn’t like being beaten especially by a woman. Behind him she saw a sparkling new rig with a shiny new competitor on board. Though his dogs were big and gaining on her, Ally hoped her experience would gain her the upper hand. The track was level. The outside of it was hard while the inside track, looked to be in a similar state, but was wet and boggy. Ally knew what to do. In a minute she would discover if Steve knew the course. He closed up on her. As his dogs came alongside hers, Ally pulled further right. She was as far to the outside as she could get. He saw her move and grinned taking the inside track. His grin became a smug leer. Ally acknowledged his mistake with a small smile of her own. She had just beaten him by her knowledge of the track. Steve didn’t know it yet. He believed she was pulling back, letting the stronger team pull ahead. His mistake surprised her. She knew he was rough with his dogs, now she added arrogant to the list. Her guess was he had not bothered to walk the track as she had earlier. ‘Well, sometimes the best way to learn is the hard way.’ It was harsh but it was the truth. It reminded her of how awful she had been at making life-changing decisions. To her surprise the new team were close behind them. They, too, attempted to pull to the inside. As he drew level with her team, he shouted above the wind and howling dogs. “Thank you, honey. We appreciate being let through.” His deep husky voice carried easily in the wind. She ignored the comment. His sunglasses, she noted were as trendy as his flash clothes. ‘I’m not your honey,’ she thought. Ally bent her head, rounded her shoulders and dug deep as she encouraged her dogs to give chase. In comparison her companion’s dogs were sinking in the soft mud hidden on the inside of the track. It slowed them sufficiently. Ally recognized that the newcomer’s team were fighting each other rather than working together. Luna sped by her eyes focused on the prize ahead. Steve’s dogs were tired and sliding on the downhill run. He urged them on with a crack of a whip. Then, as she drew level with him, there was another strong crack followed by a moment of stabbing pain. The whip hit Ally’s right hand. Tears flowed but she kept her hand stuck to the bar. The roar of protest from the man behind her drifted away in the wind as Ally continued on. She raced by Steve hoping he wouldn’t take her victory out on his dogs later. Luna stretched out her thin frame as did the others and both men’s teams were left floundering in the soft sticky ground. She wondered what her other competitors would think about her win. They had been quick to dismiss her chances earlier. At the starting line two of them had looked scathingly at her team of two Siberian Huskies and two crossbred dogs. Ally had ignored them. Eyes fixed ahead of her she focused on listening for the starting horn. It hadn’t helped her popularity when she crossed the finish line in second place in her last race. The prizes today were vouchers for dog supply shops. Keeping four racing dogs and one chunky one didn’t come cheap. In Ally’s world, every cent counted. She smiled. It would be interesting to hear what those competitors who dismissed her earlier would say about her now. 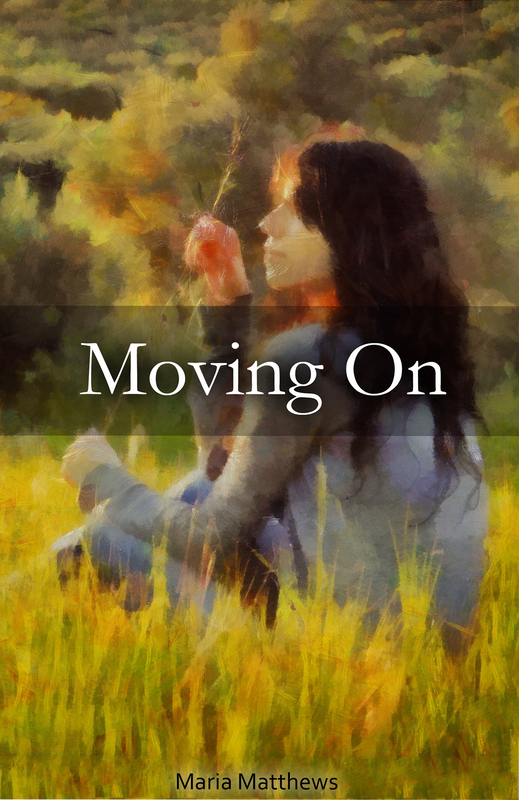 Moving On is available through Amazon in paperback and on Kindle.